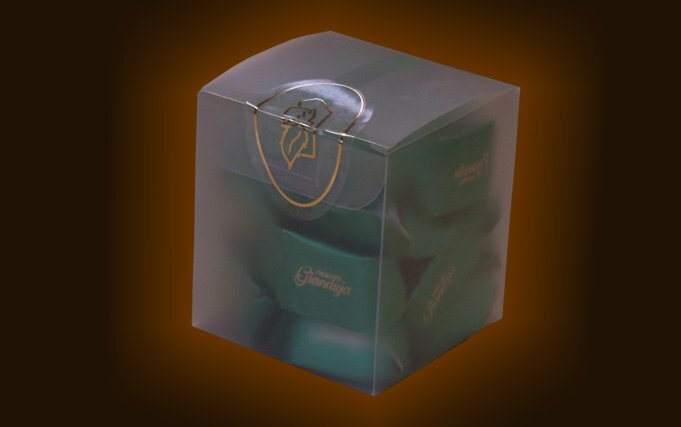 Glazed cube box containing 100 gr little giandujotto. Transparent acetate box containing 18 little giandujotto wrapped in personalized foil whose colour can be chosen among 10 available ones. Label showing technical details as required by current regulations is on the bottom side. Dimensions and weight : Length 60 mm. Width 60 mm. Height 65 mm. Weight : 100 Gr.